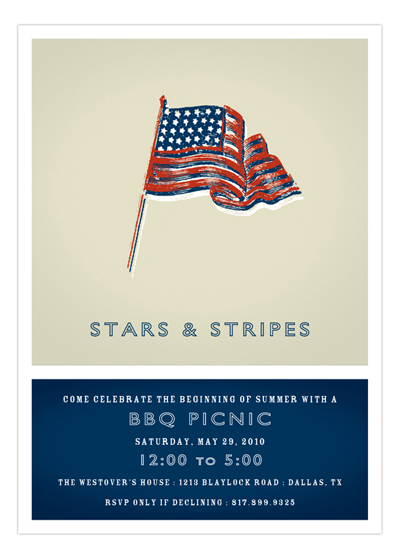 Plan a festive patriotic party, and we've got the perfect patriotic invitation wording. Here we have compiled our favorite patriotic party invitation wording. These unique and festive verses are perfect for July 4th parties, Independence Day barbecues, 4th of July parades events and more! and fireworks to light up the sky! on the Fourth of July! July 4th at 7:00 p.m.
For BBQ, drinks and fireworks!! July 4th at 6 p.m.